For the last 10 days, Mary, the young mother who gave birth to a baby boy has been travelling from home to the hospital to feed her baby. 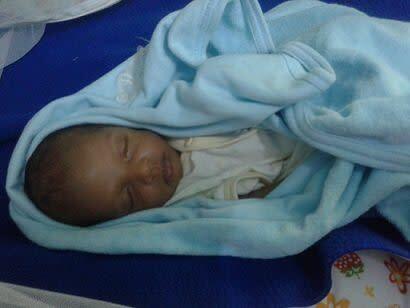 He is kept in the neonatal care unit due to respiratory distress. The baby has a good chance of recovery but his treatment is about to get stopped as her parents have run out of money. "I was bleeding every day but I chose to go to work so I could save for the delivery"
Mary was working as an accountant in a firm. In December, she experienced heavy bleeding. This continued until January but Mary had no choice but to continue working. "We had saved some money, enough for the delivery but due to my excessive bleeding, we exhausted that money. When doctors asked me to get admitted immediately, I decided not to because that meant no money for the next few months. 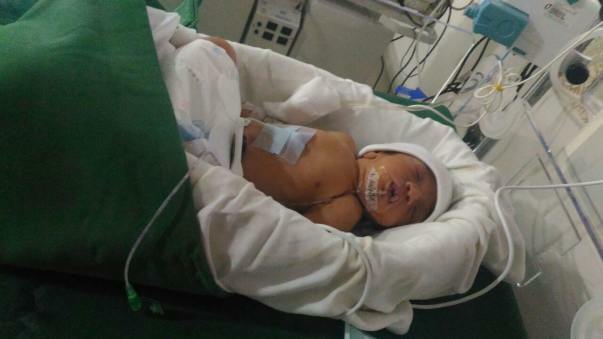 Despite this, we spent over a lakh before my child was born." Mary's husband, Paul, used to work as a driver but he had to leave his job to take care of Mary and the child. 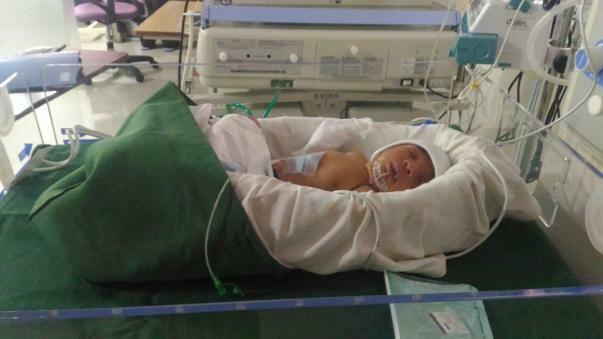 "I can only spend 4 hours with my baby"
The baby is in the neonatal care unit in Cloudnine hospital. He has developed infections and needs to be on antibiotics for the next three weeks. Mary is allowed to stay with the baby only while feeding him. 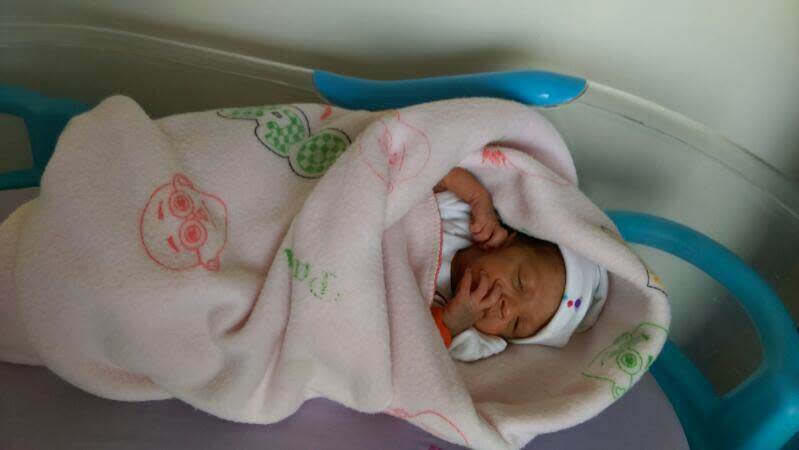 Doctors recommended that she should be admitted to the hospital ward so she can feed the baby but since Mary and Paul cannot afford the hospitalisation, they are staying at their home. Everyday, this young mother has to travel over 14 kilometers to get a glimpse of her son and feed him. The cost of treatment for the next 3 weeks is nearly Rs. 3,50,000 and this might increase if they the stay prolongs. 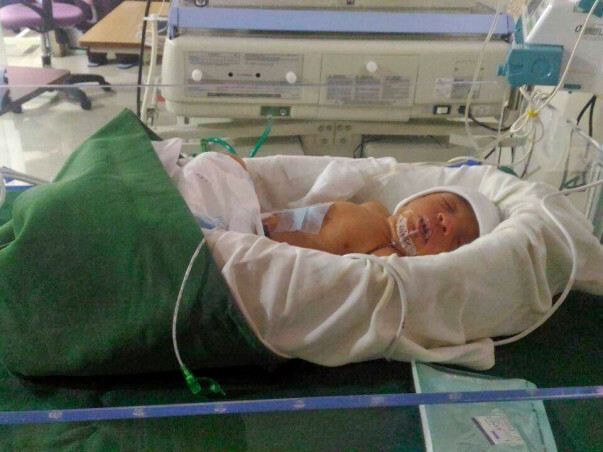 Mary and Paul will get their child back if he is able to undergo treatment for the next 3 months. Our support will ensure this little baby stays alive. Funds raised will go towards the medical expenses of the child. You can make a contribution to save Mary and her little son. I am Debotri, a fellow at Milaap. I have something great to share today. I was almost struggling with work this morning when I got a call from Mary. "Madam, we have finally decided to name my 1-month-old baby as Isaac Jason. However, the date for the formal dedication is yet to come. Thank you, donors, for your support and contribution. 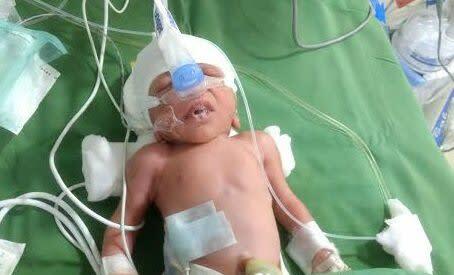 I could not see him tangled with pipes all across his body in the hospital", said the young mother. The child is currently improved a lot. He also has started to respond frequently. However, he is on formula feed. Apart from this, the child has developed hernia since last week. The doctors have suggested for an early operation which will cost around Rs 50000. Please share his story and help him to fight the battle. Thank you in the biggest way possible. We will keep you posted on his progress. Thank you so much for coming forward to help this little one. 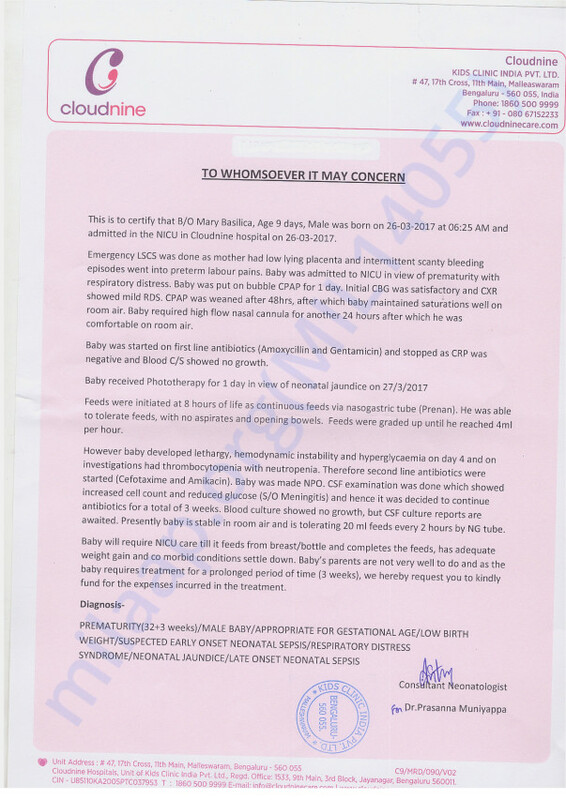 Unfortunately Baby of Mary had to be discharged from the hospital as they did not have enough funds to continue their stay at the hospital. However the treatment will continue as the doctor has asked them to come for injections every day. Please do share it with as many people as possible and help the little one live.